Maid Brigade is locally owned and proudly services homes in Portland, Seattle and the Twin Cities. Maid Brigade developed a Green Cleaning system to respond to the growing evidence that traditional cleaning methods do not promote a healthy home or a healthy environment. 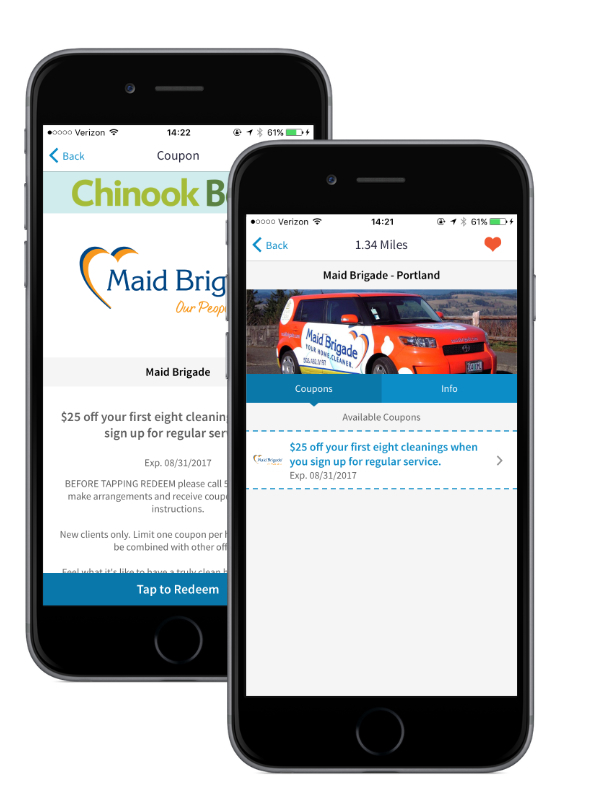 "Maid Brigade of Portland has been using the Chinook Book as an advertising medium for 8 years. We appreciate the knowledge that most Chinook Book customers have in regards to healthy homes and safe vs. caustic solutions. The Chinook Book consistently delivers the highest conversion rate and longevity for our regular clients. Due to budget constraints, we had to eliminate advertising from most advertising vehicles that we used but we kept the Chinook Book because its ROI is consistently successful." Ready to join Maid Brigade and attract the RIGHT kind of customer?